One-year-old Stephen Hubert died on or near March 23rd, in 1851 and was buried at Bethel Burying Ground. One-year-old Stephen Hubert died on or near March 23rd, in 1851 and was buried at Bethel Burying Ground. The cause of death is listed as convulsions. The death certificate signed by a physician has not survived. Above is the weekly summary signed by the Bethel Church sexton and manager of the cemetery. Littleton and Ann were native to Delaware, moving to Philadelphia sometime before 1837. By 1837, Mr. Hubert was a “well-to-do grocer” who, by 1847, was one of the “elite” of the African American community. He was a successful restaurateur, owning a popular “eating-saloon” on 6th Street above St. Mary’s Street, within sight of Bethel AME Church at 6th and Lombard Streets. In 1847, he reported the value of his real estate holdings at $190,000 and his personal property at $100,000 – both numbers are translated to current dollar values. Census records report that Ann Hubert worked in the family business. Mr. Hubert, formerly enslaved, was very active in the community. In 1837, he was a delegate to the American Moral Reform Society along with successful Black businessmen and leaders of the community James Forten and Robert Purvis. Hubert was also a member of the Philadelphia Temperance Society. In 1841 he joined the call, with other Black leaders, for a revival of the National Convention Movement. He was a prominent member of an African American Masonic lodge and he likely assisted William Stills with hiding fugitives on the run from roaming slave hunters. Mr. Hubert was not shy with his money or time in providing support for captured fugitives. African-American men in Philadelphia were allowed to succeed in a few upscale professions during the antebellum era. Food service was one of them. Most of those who prepared and sold food ran modest operations—an oyster-cellar or a small eatery of some sort—but a handful of people, such as Littleton Hubert, James LeCount, Gil Ball and Thomas J. Dorsey had establishments that serviced both white and Black customers. The Hubert family lived at 256 South 7th Street between Washington Square and Pennsylvania Hospital. All members of the family could read and write with the children being educated by African American educator Solomon Clarkson at his school near 6th and Lombard Streets. 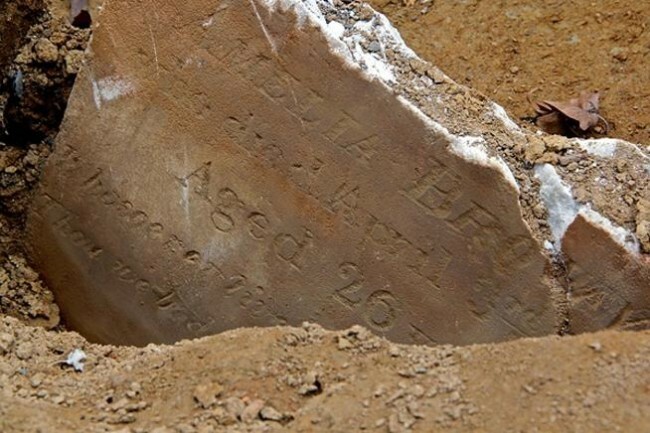 ← Five-year-old Sarah E. Haight died this date, March 15th, in 1843 and was buried at Bethel Burying Ground.